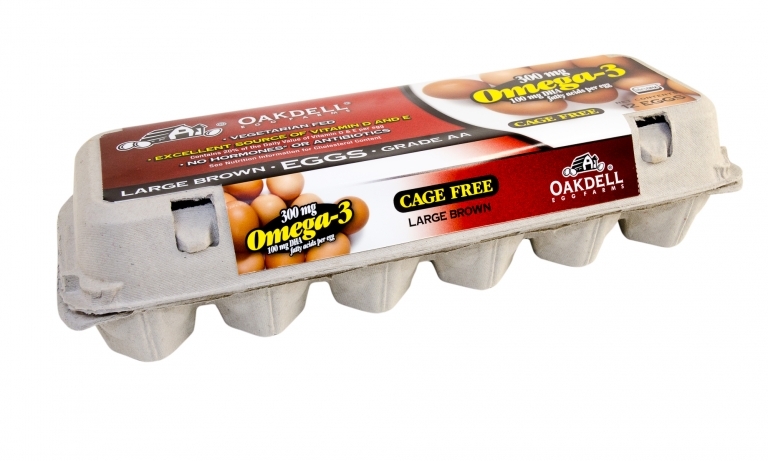 Recent independent test confirmed that no other egg tastes better than Oakdell’s Omega-3 brown eggs! Oakdell does not use Antibiotics or Hormones in any of our feed. For our Omega 3 Eggs, we feed our hens an abundance of flaxseed, plus a marine algae. Flaxseed is rich in the ALA Omega-3’s and the marine algae boosts the DHA component of the Omega-3’s to acheive our total Omega-3 levels that are concentrated in the egg yoke. And for our Oraganic Cage Free Eggs our hens are fed a non-GMO grain. Oakdell moves our eggs from the birds for processing within hours of lay to ensure quality and freshness. After washing, grading and packing, our eggs are placed in a cooler in preparation for distribution in refrigerated vehicles. FDA regulations require eggs to be held under refrigeration from the time of shipping from the plant to the point of consumption. Oakdell is committed to providing you and your family delicious eggs that are always delivered fresh to stores and markets in your neighborhood. 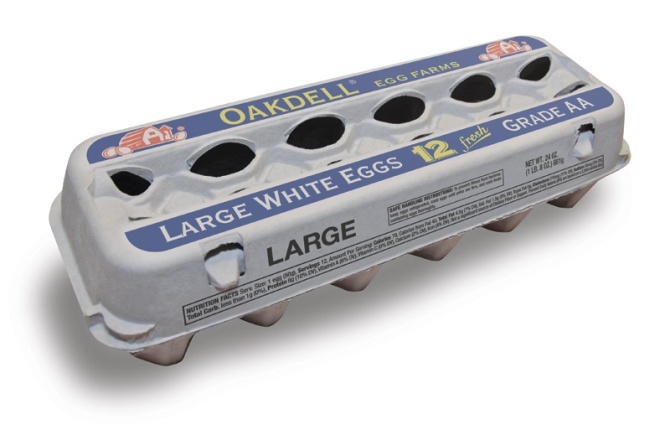 By combining good feed and processing procedures, Oakdell delivers quality fresh eggs with excellent nutrition and taste. Best eggs EVER! You can taste the freshness in every bite. I love these eggs! They are full of color and very tasty!! 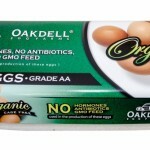 You’ve been eating Oakdell eggs for years and probably didn’t even know it. Oakdell’s hens have been laying eggs right in your area since 1905. Many of your store brand eggs including Smith’s, Macey’s, Albertson’s (in WA & OR), WinCo (UT, WA & OR only) , Dan’s, Fred Meyer, Harmons, and Costco (UT & ID only) are from Oakdell Egg Farms. 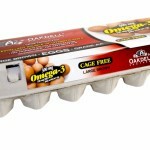 Oakdell produces Non-GMO Organic Cage-free eggs from our farm in Cache Valley Utah. Look for them in the Oakdell Organic Cage-free carton, or in Utah and Idaho at Costco under the Kirkland Signature label. Our Cage-free brown Organic eggs come from hens that are fed non-GMO grain, have access to the outdoors, are never in cages, and are always free to roam. All of our Omega-3 brown eggs are now produced from Cage-free brown hens fed an enriched vegetarian diet. This entry was posted in Farms, Food and tagged Eggs, farms, Food on May 12, 2017 .